A CIL-developed home in Amherst is one of many such facilities that provide space for persons with disabilities to live in community-based, non-institutional environments with an appropriate level of care. Boston – MassDevelopment has issued a $29,210,000 tax-exempt bond on behalf of the nonprofit CIL Realty of Massachusetts, Inc. (CILRM), which will use bond proceeds to buy, construct, and/or renovate 27 community residences for developmentally disabled individuals. 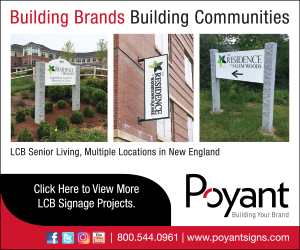 The residences will be located in Boston, Boylston, Burlington, Canton, Chicopee, Deerfield, East Longmeadow, Easthampton, Franklin, Greenfield, Holyoke, Longmeadow, Ludlow, Millis, Newton, Plainville, Sturbridge, Swansea, Templeton, Walpole, Wareham, Westfield, Whately, and Wilbraham. M&T Bank purchased the bond, which will also be used to refinance previously issued debt. Each facility will be operated and managed by the organization leasing the residence, and will house four to six Massachusetts residents. The project is expected to create 336 new jobs and support 56 construction jobs. This new bond issue builds on an existing relationship between CILRM and MassDevelopment. CILRM currently owns 200 such residences in Massachusetts, with 57 being refinanced through the bond issue.